“Of course, our organization is focused on mobile” is likely your initial reaction. Why mobile-first matters, and what it really means? Global mobile usage has surpassed desktop usage: In November of 2016, mobile usage surpassed desktop usage for the first time in history, with nearly 60% of total web traffic from mobile devices. 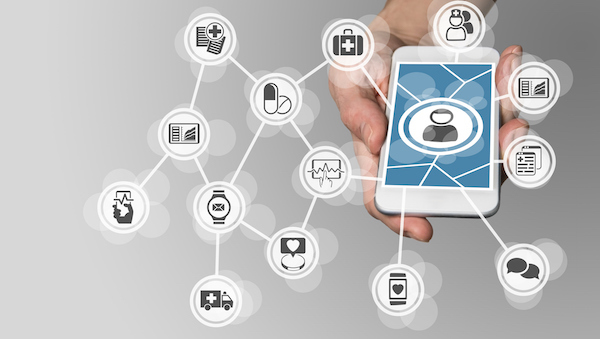 In 2018, it’s estimated that 65% of interactions with health care facilities will occur by mobile devices1. “Health topics” are among the top searches on mobile devices: Health is the 3rd highest mobile traffic site category, behind beauty/fitness and home/garden, receiving over 60% of its traffic from mobile devices2. Wearables are increasing in use: Nearly 17% of consumers have shared personal health monitoring information from their smartphone with healthcare providers. Being mobile-first is about more than just designing on mobile – it’s changing your organization’s behavior when it comes to digital products. That means, when you’re evaluating your digital properties, you start on mobile. And that’s not just projecting a mobile screen on a large wall to view. That’s cheating. It mean’s testing on your actual handheld smartphone device. The problem is that we’ve been evaluating on desktop for decades, and we’re good at it. We know what to look for. It’s comfortable. But healthcare marketers need to step outside of their comfort zone and examine their digital products on mobile first – after all, consumers are. It’s not just that patients are more heavily using mobile. It’s about how they use it. Being patient-centric means understanding their preferences and behaviors. The reality is that users will interface with your mobile and web properties in different ways – if you’re not recognizing and designing for this, you’re missing out. They more readily use mobile functionality: Users have access to mobile functionality such as click to call, directions, etc. Your site’s IA should accommodate tools unique to smartphones. They’re less engaged on mobile: Not only are bounce rates 40% higher on mobile than desktop, but mobile users spend about 1/3 of the time on healthcare sites (2:19 to 6:10 for desktop), and visit about 1/3 less pages (2.7 to 8.3 for desktop)4. What does this all mean? It means that while you have more tools to engage users and drive conversion – you actually have less time time to capture their attention (and less real estate). 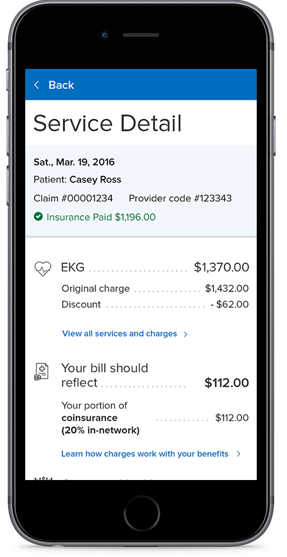 The simplistic design of Geisinger’s online Explanation of Benefits led to increased consumer confidence. Ensure proper link spacing – Accommodate for the “fat finger” error. Integrate functionality – Where applicable, integrate mobile functionality such as click to call, messaging, voice controls, camera, and location services. 2. Optimize SEO for mobile: Google’s Mobile-First Index now means that when it comes to SEO, Google “treats the mobile versions of each page as the primary page to index, with desktop versions being secondary”5. Therefore, SEO considerations should play a big role in site builds. 3. Evaluate your products on mobile before desktop: Evaluating on a big screen rather than a device is very different, as the user’s experience is very different – that’s why your QA process should begin on mobile. Don’t forget to also evaluate your mobile products in real-life scenarios to ensure optimizations (See: All About Patient Intercepts). AMP (Accelerated Mobile Pages) – In addition to a more engaging mobile experience, content pages such as blog posts and news articles when built in AMP open-source format allow for near instant load times and may offer search rank benefits in the future. Did you read this on your mobile device? Good chance you did. Let’s chat about your organization’s mobile strategy.